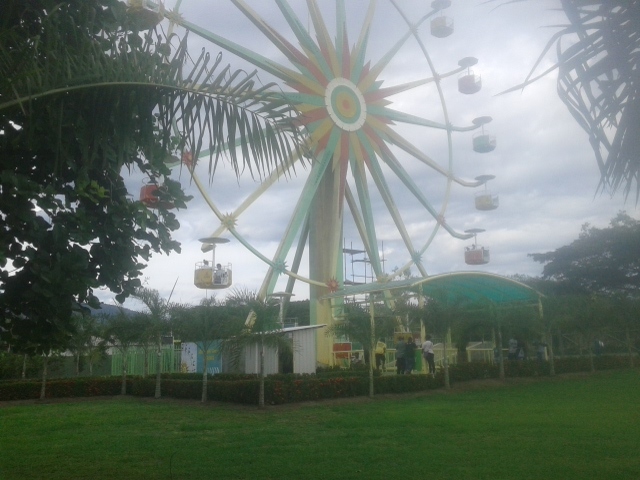 The Adventure Park outside Port Moresby has turned on the newly constructed ferris Wheel. Some people were seeing taking joy rides on the wheel today. One of the riders, George Junior was pleased with the wheel. "First of all, its scary but I managed to take the ride and its awesome", he said. It costs between K10 - K20 to take a joy ride on the wheel depending on the number of the revolution the rider takes. Port Moresby residents who wish to take joy rides can now go to the Adventure Park and use the ferris Wheel or other entertaining facilities such as water slide, boating paddling, animal watch and so on.